Mick Gillitzer is the Director of Veteran Relations for Sierra Delta. He is responsible for helping veterans and family members navigate our program’s partner providers. In addition, Mick acts as a liaison between local, state, and federal resources and our qualified service members. Mick has provided non-clinical case management for wounded, ill, and injured service members since 2010. He served as a District Injured Support Coordinator for the Marine Corps Wounded Warrior Regiment. Later, Mick served as a Veteran Lead with Semper Fi Fund. 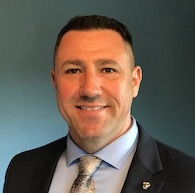 With twenty years of service in the Marine Corps, including multiple overseas deployments, Mick is passionate about empowering veterans to attain success. He graduated from the University of Wisconsin Lacrosse with a Bachelor of Science degree in History and a Master’s Degree in Military History from the American Military University.